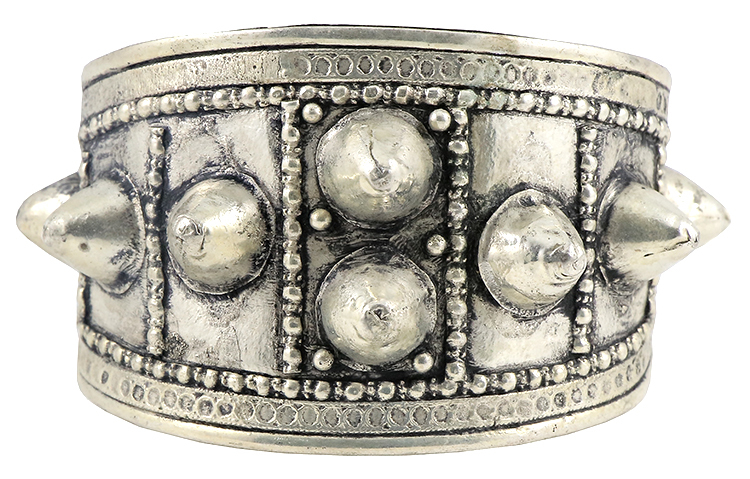 Add drama to your Tribal belly dance outfit with this unique statement piece. 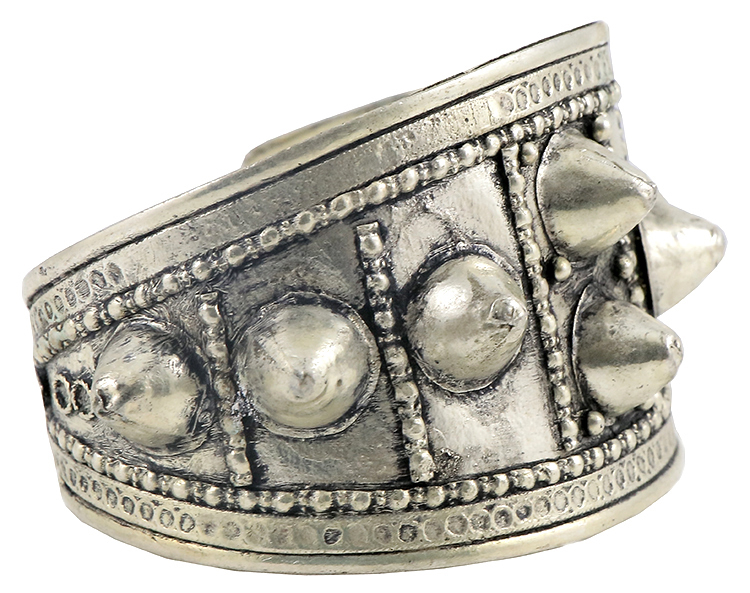 Add drama to your Tribal belly dance outfit with this unique tribal spike bracelet. 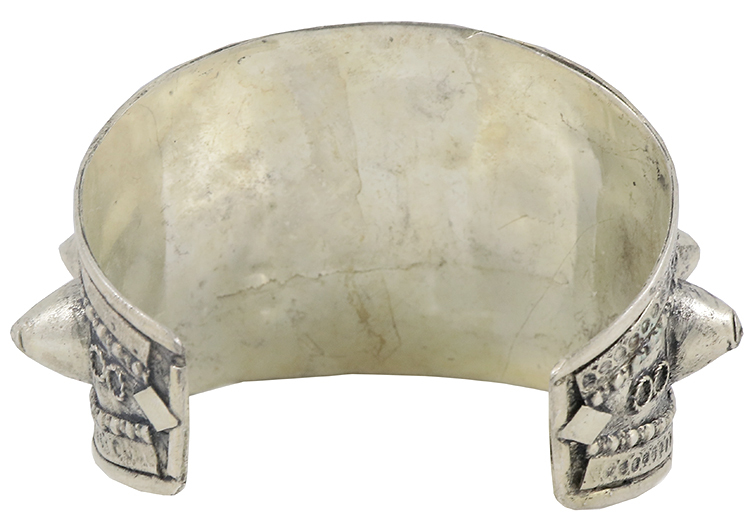 This Afghani Kuchi Tribal cuff bracelet is high-quality and lightweight. Perfect for presentations of the Algerian Ouled Nail dancers. Each piece is handmade by Afghani artisans and imported from Pakistan. Each item is unique so pattern and colors may vary slightly from photos.